Learning about shooting disciplines should always be an ongoing experience. Even those of us with hundreds or thousands of hours of training time can find value in absorbing the shared expertise of others. One book that I have encountered that covers precision rifle techniques is Anthony Cirincione II’s Long Range Precision Rifle; Expanded Edition. (MSRP $31) In my personal regard, it is one of the best guides out there to help with the setup and effective employment of a scoped rifle. Anthony Cirincione has an incredible knowledge base concerning the use of precision rifles. He has over 2 years of OIF/OEF combat deployment experience in Iraq and Afghanistan as a US Army Sniper and has served as a sniper section leader. He has implemented both DMR and sniper training curricula as part of that role. In addition, he actively competes in the long-range shooting disciplines and has a private training company he instructs at when stateside. For more experienced shooters, there is a wealth of advanced data and techniques laid out in other chapters. One of my favorite sections deals with shooting over or under obstructions. This concerns the techniques to use should there be power lines, window sills, bridges, or more commonly in my experience, tree branches in the line of one’s long-range shot. This could make all the difference between a solid hit or an ineffective hit/miss. It is a subject I’ve not seen well covered at shooting schools or in other literature. Once again, Cirincione’s clarity shines through the murky waters on this subject. Have you ever encountered high angle shots? On a recent hunt, I was at such an extreme angle that it almost felt like I was going to slide off a cliff. I’ve been shooting at extreme angles for a while and received instruction in such situations. I do believe that the section on high angle shooting in this book is probably one of the simplest and easy to understand outlines of what one needs to take in account to achieve long-range hits at extreme angles. By far my favorite new section deals with Suppressed Subsonic Shooting. Cirincione explains supersonic vs subsonic “Cold-Can Shift”, why it occurs, and how to account for it. For subsonic reloaders, he also covers how some sound barrier calculations hold true for certain grain weights of bullets and not others. He also covers why not to drill out the primer pocket of one’s brass for subsonic-specific loads. Anthony Cirincione II’s Long-Range Precision Rifle: Expanded Edition is an excellent addition to the library of anyone engaged or interested in the discipline of long-range riflery. Cirincione’s clear, concise style of explanation and practical exercises help guide shooters of any experience through the concepts, tips, and techniques outlined in this work. While it may not contain the most detailed and in-depth explanations of each subject it touches on, it is a great, concise overview of subjects that one needs to know in order to be a better long-range rifleman. I want to stress as well that at no time does the author reveal any classified TTPs that might compromise our armed forces. 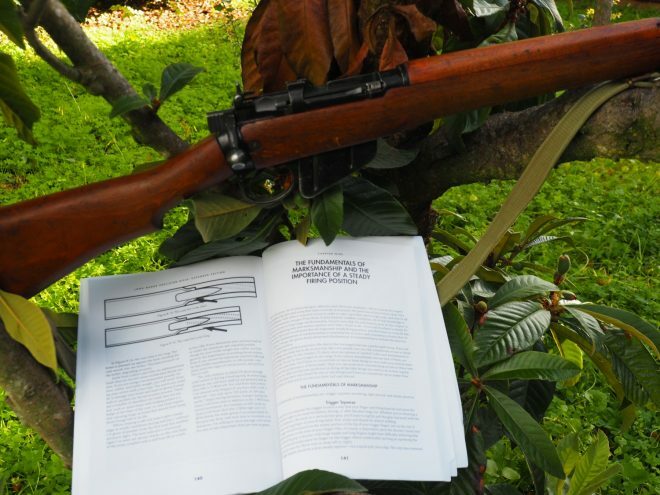 The book is useful enough that I often find myself checking out its tables and references while in the field, and it has its own slot in my range bag for long range rifle use. For anyone interested in the accurate choice, setup, cartridges, and employment of long range rifles, I highly recommend this book. Note: Paladin Press, the publisher of this book, sadly went out of business at the end of 2017. This book can still be purchased from sites such as Amazon, however, and will be published this year by Redd Ink Press. Is the Lifecard Credit Card pistol worth having?